Fiction that causes suspense (but not horror) usually concerning unresolved crimes. Includes crime fiction, whodunnits, legal thrillers, murder mystery, courtoom dramas, gangster fiction, detective stories. This detective novel won several awards: Shamus (Best First PI Novel 2017,) Anthony (Best First Novel 2017,) Macavity (Best First Mystery 2017,) and nominated for the Edgar Award. Along with the accolades, this is billed as a 20 year old black Sherlock Holmes solving cases in South Central LA. So I was sold on giving it a try. The main mystery – a rapper has been targeted by a hit man – isn’t really the main story here. 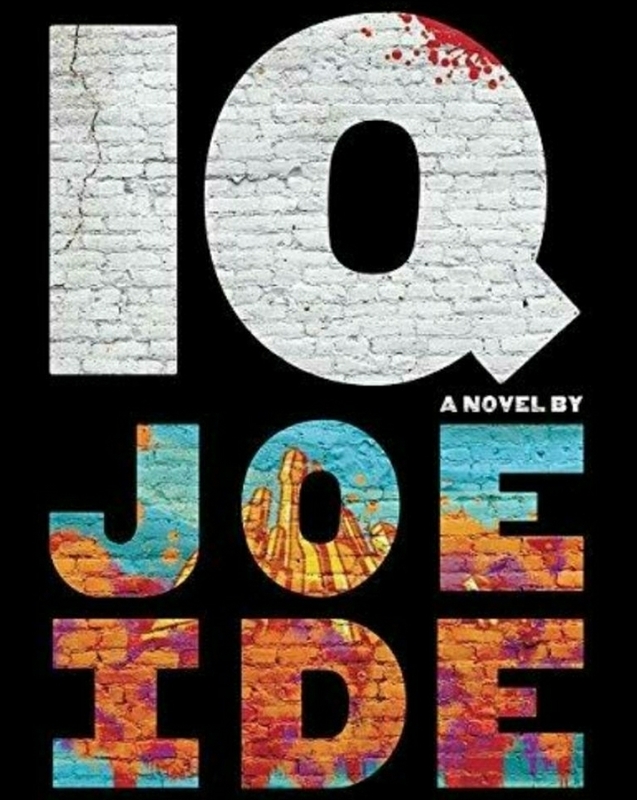 Since this is the first novel, Ide weaves in IQ’s past as the more important of the two stories. He jumps back and forth between 2005 and 2013 and it flows well. By the end, we have s solution for the rapper mystery as well as a cheat understanding of IQ and his gangsta friend/ Watson. 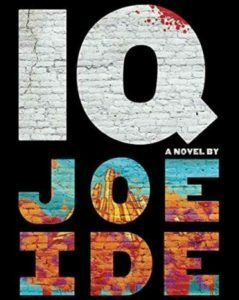 While I enjoyed the book, I found getting to know Isaiah much for interesting than finding the person who took out the hit on the rapper. And I find that solution to be tagged on to the end of a book that maybe didn’t need that whole plotline. The ending felt hurried and unsatisfying. There is a second book and I’ll definitely read it, so this wasn’t a deal breaker for me. For those that this matters to, it is important to note that this book is filled to overflowing with crass language, cussing, gang violence, sexuality and whatever else would automatically trigger an R rating if filmed. 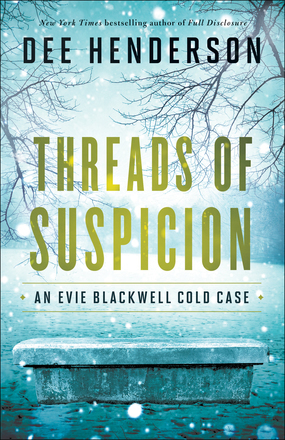 Dee Henderson Pens Another Compelling Cold Case Mystery. 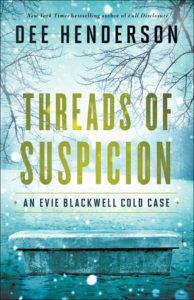 Somehow I must have missed reading Traces of Guilt another Evie Blackwell Cold Case Book. I have been a long time fan of Dee Henderson’s books and have read all of her books except for the last one. Dee Henderson was one of the first authors I read when I became a believer many – many years ago. 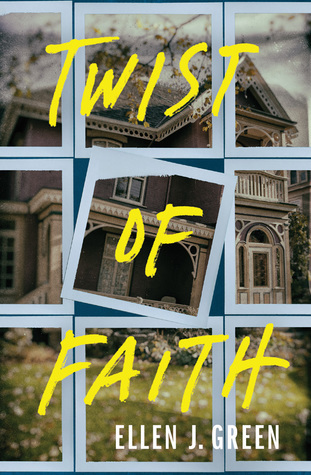 I was hooked to find an author that was a believer writing quality Christian mystery books. I love the details she puts into the Missing Persons Task Force. The process she describes that an investigator has to go through to pull up a case that has been unsolved for many years. It made it interesting seeing how Evie and her new partner David have completely different styles as investigators. The story kept building up the suspense as the team starts uncovering the mystery of the missing people. It was a page turner for me. Dee Henderson always has a flair for the characters, plot, and the surrounding of the story. It was interesting going through the many theories and leads that will keep you not wanting to put the book down. There are a few surprises. I love David and Evie each have a deep faith in God. I’m not going to give away any spoilers but, I have to say that I didn’t find this story predictable and was surprised how it came together. Huxley along with his wife and young daughter survive the collapse of civilization by fleeing a city in California for the wilderness to the East. Everything seemed to be fine for nearly a decade. Then the slavers came. The slavers pillaged his commune, taking his daughter into slavery in the East. With her dying breath, his violated and soon to be murdered wife gave him a clue: the slaver who did this to them had a scorpion tattoo. With nothing else to live for, Huxley heads East across the desert to find the slaver and exact justice. 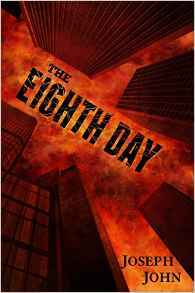 This book has all the best parts of a vengeance Western or Civil War Western plus a healthy dose of the post apocalyptic with just the right dash of redemption. It was a book I couldn’t put down because how Huxley’s sorry ending could go a variety of ways – all the way to the end of the book, which I found to be very satisfying. 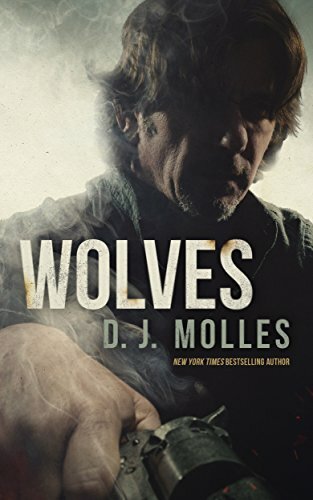 This was my first novel by Molles but it wont be my last. I was very impressed with this tense, violent and ultimately fulfilling story. Victoria Asher and her older brother are untimely orphans when their parents die in a plane crash. After a settlement and after her brother is old enough to take custody of her, Victoria finds herself on her own for a summer while her brother is on a work assignment. 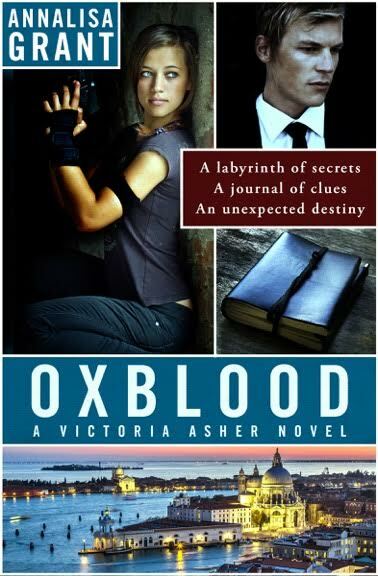 When she receives a package with his journal and the word “oxblood” she comes to believe he’s in trouble. When she calls around looking for him she can’t find him anywhere – it’s clear he hasn’t been honest about what he was doing in Italy. There are a lot of plot twists to keep the young reader interested. Comedy and a little bit of romance as well. 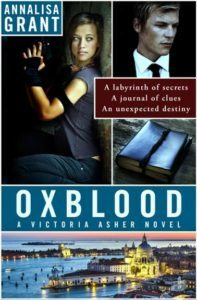 Victoria Asher is a good heroine – fearless, smart and tenacious. Only a few minor cuss words are spoken by the bad guys. Overall a fun, clean novel for middle schoolers aged 14 and up. Freckles is a long suffering wife of twenty years and mother of four children in every stage of adolescence who enjoys coffee and silence. She gets coffee sometimes. 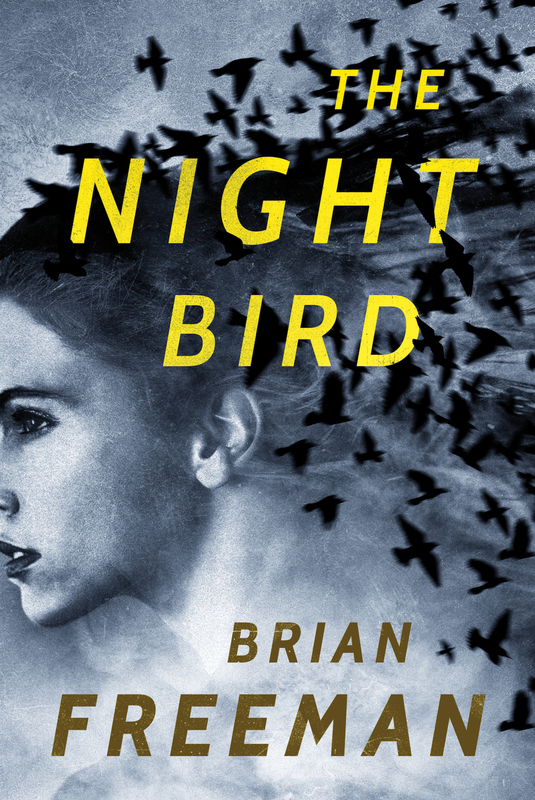 A fun hard boiled whodunit with a protagonist who plays the part well while waiting to wake up from the nightmare he finds himself in: he’s a clone. The 42nd clone in his line. His “Prime” or the human who he and his brothers are cloned from has been killed. By one of his brothers. Since he was literally born today, he’s the only non-suspect among them. While there is some interesting world building going on here, the main thing that sets this book apart from so many other sci fi novels is that it is fun! Not kitschy or corny fun. It’s solidly rooted in Maltese Falcon-esque detective stories but constant references to Hitchikers, in jokes and the extremely fast pace had me hooked from the start. I’m actually reading another science fiction suspense story by an author that I really enjoy – I’m enjoying that book as well – but when I had to make time for one of them I chose this one. In fact, I chose this one and listened to the whole audio in only a couple days. I don’t know if there are other books in this series or world, but it is ripe for others. The clone economy is something I haven’t read before and was well done. I’ll definitely check out more books from this author. A note about the audio version: Jeffrey Kafer was great! His quick, flat and sometimes monotone detective voice fit the mold of how I expected 42 to speak. The one thing I would have liked is a slightly longer pause when moving through a break. Chapter breaks were clear, but internal breaks (where you’d see a couple of blank lines in the text allowing the story to quickly progress or change to another location or character) weren’t. So occasionally, I’d find the story going in a new direction and not understand what was happening at first. One more beat of silence would have been perfect. 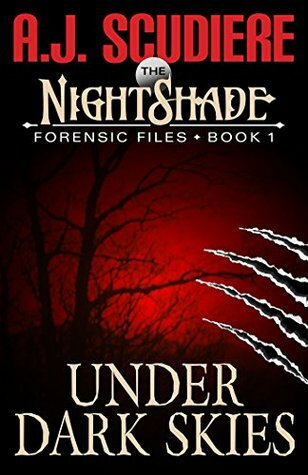 Eleri Eames, an ex-profiled for the FBI, and Dr. Donovan Heath, medical examiner, have been recruited by Senior Agent In Charge Westerfield to become members of the elite special ops NIGHTSHADE. Eames jumped at the chance to become part of the team. Dr. Heath is branching out. He has become bored with his position as medical examiner and being out in the sunshine. Their first assignment is to locate a Cult Leader and his City of God believed to be somewhere in the vast land of Texas… They are also charged with finding the missing daughter of a very prominent FBI Agent. Eames has been assigned Lead Agent with Heath as her partner. She isn’t sure she can handle this especially with a green agent fresh out of the Academy. She has never been a lead agent before. Well time will tell. So she and Heath pack their bags and head for Texas. The FBI believes the leader of this cult is a psychopath known as Joseph Hayden Baxter. He had several run-in with the law in his youth, but seems to have dropped off the grid. The city is believed to be somewhere in a small town around Dallas or San Antonio, but no one knows for sure since they haven’t had any siting of Baxter or the City. Days of traveling back roads and staying in less than desirable motels turn up absolutely nothing. Westerfield is getting discouraged. His veiled instructions is to find Baxte soon, eliminate him and he doesn’t care how they do it. Through diligently working almost day and night they may have come across a lead, Heath has persuades Eames to let him go on a recon mission on his own as maybe they have pinpointed where the City might be located. This way he can use his secret and no one will be the wiser. He does locate what he believes is the City, but most importantly, he runs across an injured young boy trying to escape the City. They now have their first real lead. The City starts bleeding people fleeing from the City looking for medical attention. Bodies are turning up by the dozens. Eames has discovered Heath’s secret. She confesses she has a secret of her own which could probably help them locate Baxter, but she is reluctant to use is as she had formerly divulged her secret which landed her an insane institution for three months. Eames needs advise so she introduces to her friend, an ex-FBI Agent. Heath cannot believe what he learns. Her friend is exactly like him. 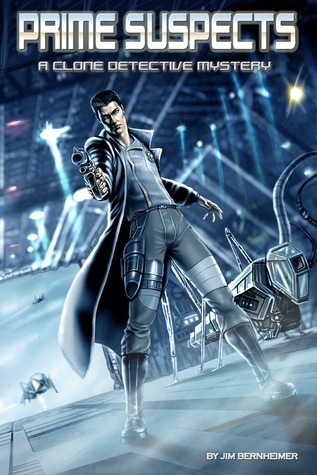 Are all of the NIGHTSHADE agents and ex-agents ODD? Were he and Eames recruited for their oddity? He is beginning to think so. The location and invasion of the CITY OF GOD lead Eames and Heath on this really exciting, intriguing and dangerous assignment. Ms. Scudiere keeps you turning pages and glued to your chair as you take the journey with Eames and Heath. Will they succeed in eliminating Baxter and his City Of God? Ms. Scudiere is an excellent writer. She brings her characters to life right before your eyes. You feel as if you are walking each step with them as they complete their first assignment as a team. Ms. Scudiere’s books are keepers. If you are not a fan, you will be after your first book. Highly recommended. Suggest you read all of Ms. Scudier’s book. You will be glad you did. 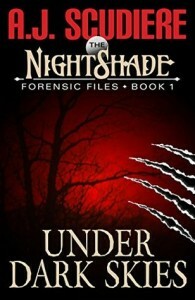 CAN’T WAIT UNTIL BOOK NUMBER TW0 OF NIGHTSHADE IS PUBLISHED! Casey Cox’s DNA is all over the crime scene. There’s no use talking to police; they have failed her abysmally before. She has to flee before she’s arrested… or worse. The truth doesn’t matter anymore. My thoughts: What a wonderful book. 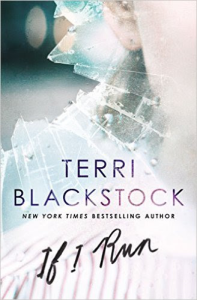 It’s always so hard to find a good Christian suspense book that is well written. 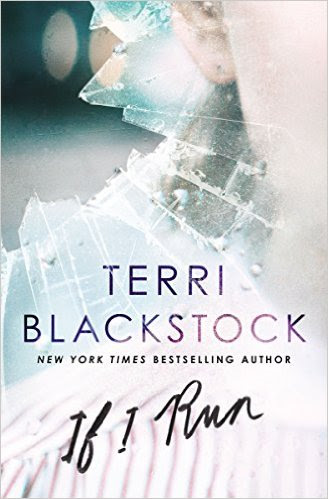 Terri Blackstock does it with such skill that keeps you going back for more of her books. This time I think the author has out done herself. I loved, “If I Run”. I think it’s her best yet. Not only do I think this is her best but, the style of writing is completely different than any of her other books she has written. She wrote the story from a first person pretense going back and forth from the main characters Casey and Dylan. I have read books in this style before but, it didn’t work in my opinion and I was disappointed. Terri made it feel as if you are the character and all the action going on. The plot, suspense, characters, and the surrounding just hit the mark right on. Lots of twist and turns and you didn’t know what to expect next. I was hooked from the first page and read the book in two days. I could have easily finished it in a day but, life happens and a mom has to take care of family. This is defiantly one of my top favorite books. The ending is a complete cliff hanger. I hate cliff hanger as it makes me wait for the next book to come out. As far as cliff hangers go it was not what I expected considering all the events that lead up to the last page. Terri thank you for an amazing story-you have outdid yourself. I can’t wait for the next story in this sequel. Shawn Jaffe had just talked to the man staring with dead eyes at the ceiling with the bullet hole in his chest. He had said, “Nothing you know is real” (p2), which would have been easy to ignore if not for his sudden murder. 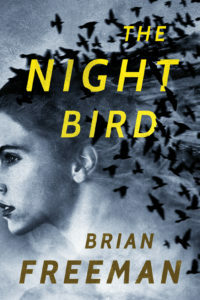 Part detective and part science fiction, John’s novel is the written equivalent of a Bruckheimer popcorn summer movie. It’s fast, moves faster, and includes lots of “on screen” violence. John does an excellent job keeping the reader guessing and even when we understand we are still engaged in the resolution – one that is highly satisfying in terms of pure aggression and excitement. It is surprising to find a novel by a first time author that has the polish this one does. It’s slick and easy to read, deftly builds a world 25 years in the future, including future past events without being heavy handed about them. Some things may not fit exactly (will we still carry physical mobile phones in 25 years? Probably not) but it flows easily. There isn’t much work to imagine this world of the future, which allows the reader to enjoy the show without getting bogged down. This is a very strong first novel. 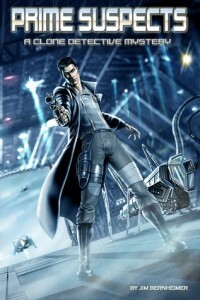 Science Fiction and action fans of summer blockbusters will definitely enjoy it.